We had a successful night, raising over $9600 for the Missouri Veterans Home. Thank you to all who volunteered and participated. 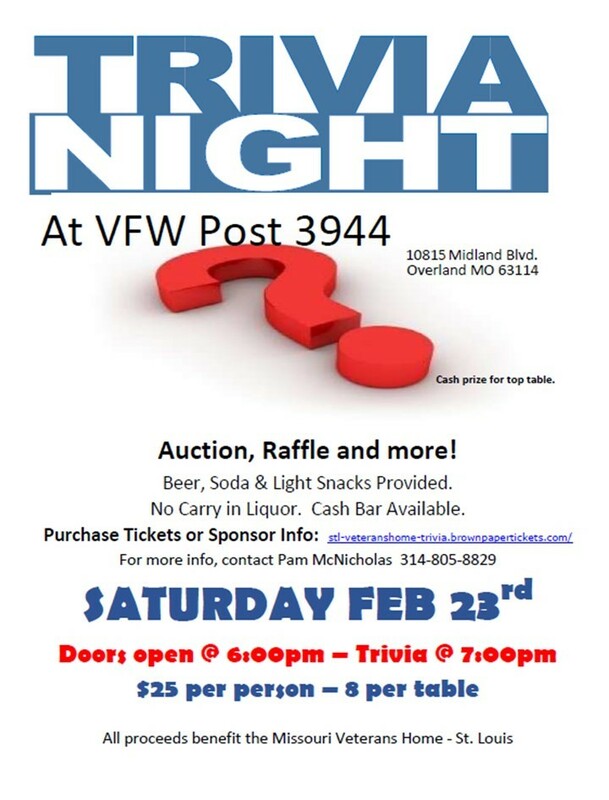 Our 9th annual Trivia Night will be held on February 23, 2019 at the V.F.W. Post 3944 located at 10815 Midland Blvd, Overland, MO with a start time of 7:00 PM. Proceeds will benefit the vehicle fund. Our goal is to purchase a new single wheelchair van with a fold-out ramp which allows wheelchairs to roll into the van. This van provides the capability of transporting a single person to an individual activity (private funerals, reunions, weddings, doctor appointment, etc.) in the safest and most efficient mode possible for those who have special needs. Additionally, it will free up the use of the larger eight-passenger buses for their intended purpose of transporting a large number of veterans. Judges hard at work during last year’s Trivia! ………....T R I V I A ……….... N I G H T ……….... D O N O R S…………. Our silent auction will include items from many great local businesses. 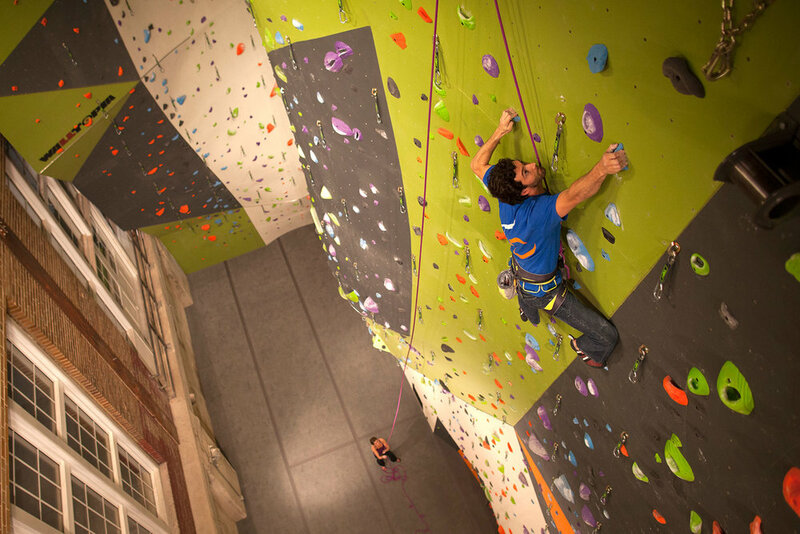 Come bid on two free day passes from Climb So iLL (@climbsoill) - St. Louis' premier indoor rock climbing gym. This beautiful Queen/King size quilt will be raffled off at Trivia Night. Machine washable and dryable. Sorry, the bed is not included. Come bid on two tickets to the final game of the season 29 September 2019 between the Cubs and Cards. Naturally, they come with a complimentary 2020 game voucher. You won’t want to pass this up! Donated by Mike Wyatt of Edward Jones Investments.